You know how I said there is no such thing as a perfect Whole30? It is utterly true. I am a stickler and a pretty excellent rule follower, and still there have been a few times where something’s found its way into my mouth that isn’t on the list of “compliant” foods. Here’s one example: The other day, I ordered a chamomile tea at Starbucks. They said that they no longer have chamomile, but how about this nice peach tea? It’s herbal too, no caffeine. Sure, I said.
. . . and then I went online and checked the ingredients. In that little tea bag, besides the herbs and pieces of dried fruit, there was the ever-mysterious “artificial flavoring,” along with a couple definite no-no’s: rice flour and sugar. That’s right folks. Even herbal tea is not a sure bet. It’s pretty safe to assume that any time you go to a cafe or restaurant that isn’t super hip or super hippie, you’re going to be eating something you’re not supposed to. Maybe they lightly floured your chicken cutlet before it went into the pan, or added some cornstarch to the pan sauce. There’s probably a ton of sugar in the salad dressing. 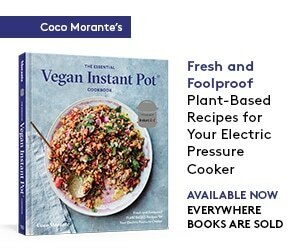 And that side of steamed vegetables? They’ve almost certainly been tossed with butter or margarine. It’s best not to sweat the small stuff. For what it’s worth, there was probably less than an eighth of a teaspoon of sugar in that little teabag. And as for a delicious Peruvian dinner I enjoyed the other night? I consider it a victory if only for the fact that I didn’t get too jealous watching my friend eat slice after slice of bread in the ten minutes before our appetizer arrived. We shared orders of ceviche, anticuchos, and plantains, and I left satiated, but not stuffed. This was a total 180 from the last time I went out for Peruvian food with my family a couple months ago. That time, I inhaled an enormous plate of Pescado a lo Macho, a.k.a. fried fish and seafood drenched in a white wine cream sauce. With plenty of rice on the side. And a beer. And ceviche. My habits are changing. I’m learning how not to overdo it, and that is a big, big win. I won’t lie, for a few days of this diet, I found myself sort of acting out, and just eating a lot of the approved foods. Going really heavy on pecans and macadamia nuts, eating twice as much protein at a meal as I probably needed, that sort of thing. Pretty quickly though, that phase petered out, and I found myself eating more reasonable portions automatically and not craving calorie-dense foods as much. As for the nitty gritty on whether this seems to be helping my PCOS, last week brought some symptoms that I haven’t felt before. I did a bit of research, and my symptoms lined up exactly with this list. So that’s where I’m at. Learning to be content with reasonable portions, making healthy choices, not flipping out when things aren’t 100% in line with the Whole30 guidelines. And noticing how my body is reacting to it all. 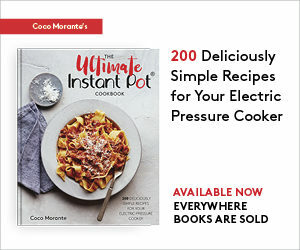 In the spirit of doing our best and not sweating the small stuff, here’s a recipe that’s 99% Whole30 friendly. It’s a skillet of lightly braised vegetables, a great side dish for chicken or fish. I used one of these curry bouillon cubes along with a good amount of ghee to coat everything with a flavorful, glossy sauce. They’re vegan and gluten free, so I figured I was safe. I read the ingredients after I was finished with my lunch, and discovered that the bouillon contained organic cornstarch. But you know what? Big flippin’ deal. I did my best, I made something nourishing and delicious, and less than a teaspoon of cornstarch is not going to harm me in any way. Onward and upward. 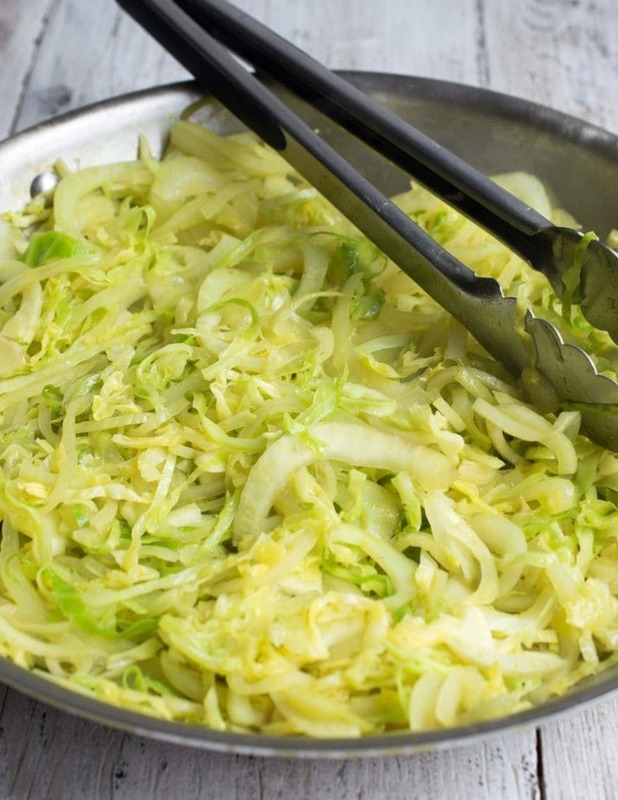 Cabbage, fennel and onions get tender and soft with a quick stove-top braise. They're napped in a savory, glossy sauce of curry and ghee. Set your mandoline slicer to its second-to-thinnest setting. 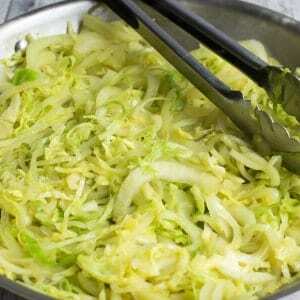 Using a hand guard and/or a cut-proof glove, slice the fennel, onion and cabbage thinly. In a small bowl, dissolve the boullion cube in the water. Set aside. In a large (12-inch) skillet, heat the ghee over medium heat. Add the vegetables and stir to coat with the ghee. Sauté until the vegetables are beginning to wilt and soften, about five minutes. Pour the boullion into the skillet, stirring the vegetables so they are all coated evenly with liquid. Cover the skillet and let the vegetables cook another five minutes. Remove the lid from the skillet. Keep cooking the vegetables just until all but about a tablespoon of the liquid remains, and the vegetables are soft and glossy. 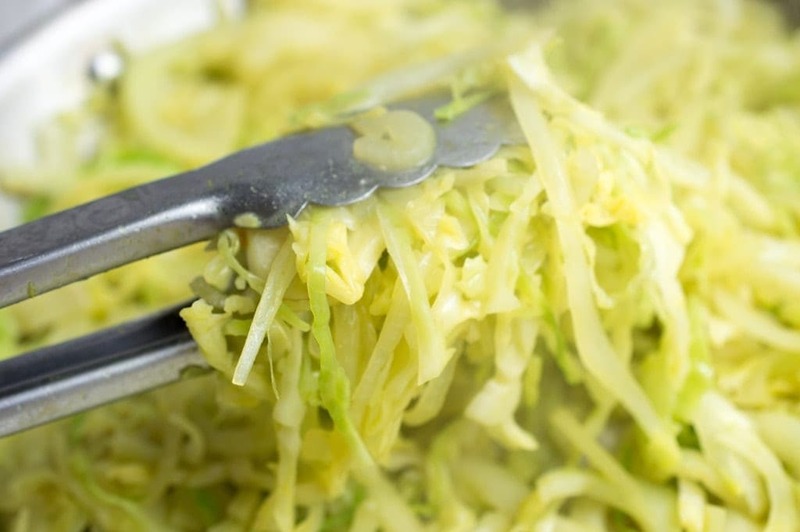 If you don't have a mandoline slicer, simply slice the vegetables thinly with a knife, as uniformly as you can manage.